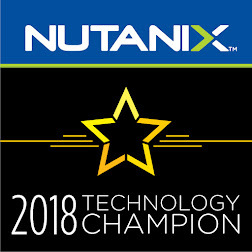 The Nutanix Go Program allow the customers to rent Nutanix NX appliances when they need to scale up their data center to meet peak demand, while scaling down the infrastructure to reduce expenses. IT projects no longer need to be locked into the typical three to five-year IT refreshes cycles or moved to a public cloud just to gain financial flexibility. Nutanix NX appliances could be rented as short as six months, and up to 5 years as long term agreements. Nutanix allow the Customers to use a hybrid model by mixing between owned & rented NX appliances in the same cluster. Also, guarantee the security of customer data if NX appliances returned at the end of the agreement by wiping out the data before returning to Nutanix. Nutanix Go pricing is available now for certain Nutanix NX appliances to qualified U.S. customers, with international availability coming at a later date.